New York: Dodd, Mead & Company, 1947. ￥10,000 (税込み) 24.8 x 17 cm. 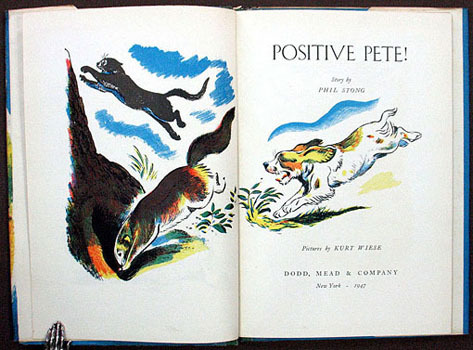 (12), 64 pp., with illustrations in color and b/w. Original cloth-backed boards, with slightly worn dust jacket. The Charming story of a cocker spaniel from Baltimore and his adventures.